VK0EK Enters the “70K Club”! 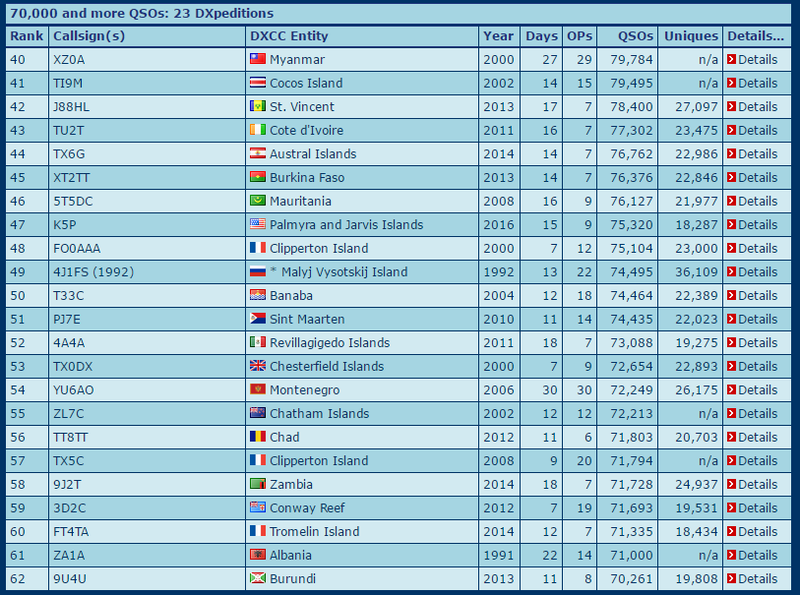 They have passed one of my personal all time favorite DXpeditions, FT5XO. This is getting very exciting. 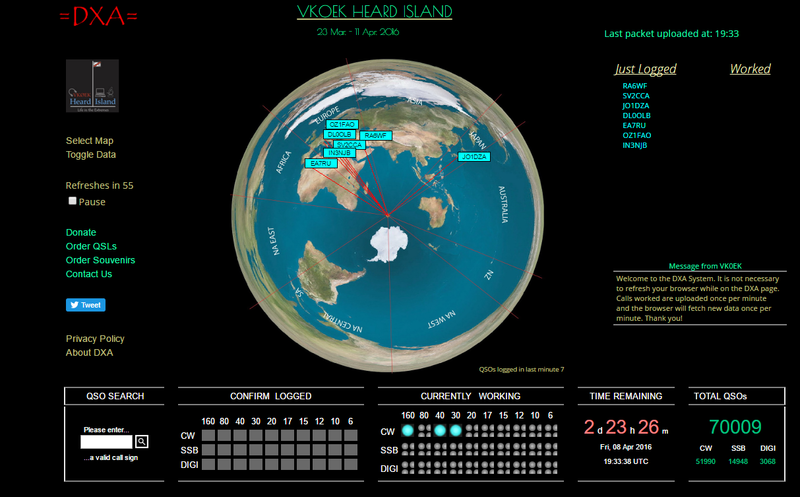 Really it’s been a rough slog to EVEN WORK VK0EK for some of us here in No. Calif, PERIOD!!! I don’t blame the “Heard Group” by any stretch of the imagination as that wouldn’t be fair!!! Condx have just been PLAIN CRAPPY, plain & simple !!! I’ve only work them ONCE on 20m CW running max/legal, and that took us (10) days to do!!! I’M IN THE LOG OBVIOUSLY, but it wasn’t because of the efforts of the “TEAM” per/se, it was being @ the RIGHT PLACE @ THE RIGHT TIME and pure LUCK!!! I’ve listened for them on all bands between 40 & 10m HEARING “NOTHING” until last Friday evening & WORKING THEM and haven’t heard them since!!! I’m not out for multiple band or band-slot crap, JUST (1) AND I GOT IT!! !